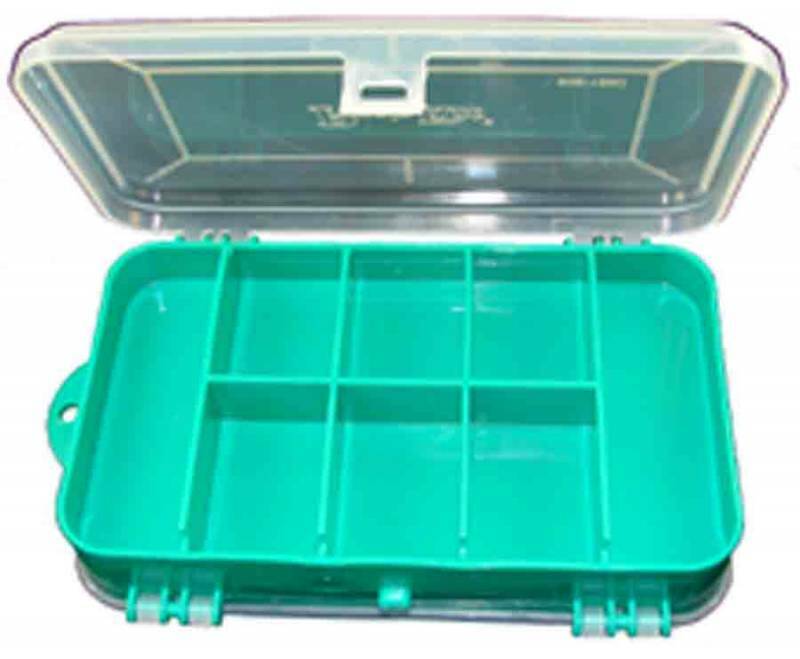 Folding plastic box with 8 compartments on one side and 5 on the other. Lids open on both sides. 6-1/2" L x 3-3/4" W x 1-3/4" D. Taiwan.